With love photography is made up of Samantha and Victoria, we are sisters who specialise in family and newborn photography across North West Cumbria and the Lake District. Whether it be studio based shoots or outdoors in the fabulous countryside. We are passionate about photography and love getting real natural shots and capturing all the little things about children and their families. 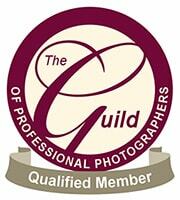 Our aim is for you to enjoy your experience with us, as well as the resulting images. With over five years of photographing children and having three children each of our own we are well experienced with everything those little ones throw at us. We have been specialising in newborn photography for about three years now and love it. In March 2015 we were awarded a bronze award from The National Guild of Photographers in the newborn and baby category. We were over the moon and thankful that all our hard work was paying off. We love what we do and to receive national recognition for our work is amazing. We are now based in our beautiful studio at the Settlement in Maryport. With amazing views over the Solway and plenty of free parking it is a fabulous space, perfect for pregnancy, newborn, children and family shoots. We are fully equipped for both newborn photography with a huge range of blankets, props, little outfits and accessories. We also have ample space for family photography and plenty of floorspace for little ones to run around and have fun. BANPAS share our values and the importance of looking after your newborn while they are in our care.